I have put this together in the hope of helping everyone “think fungi” and broaden their ecological thinking. I hope youfind something here of interest or that makes you want to dig deeper. I want this website to help find others who are interested in saving our natural world and think fungi and ecology could be used together to help us find better ways to live on our planet. 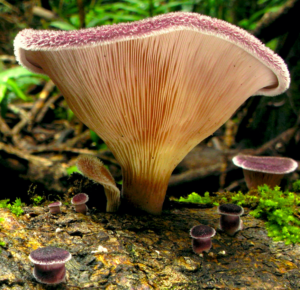 Come join me on an excursion and let’s go meet the mysterious fungi of the forest or woodland or bushland somewhere. Dr Sapphire McMullan-Fisher in the forest (Kylie McGenniskin). Sapphire is an ecologist who has special interest in the conservation of biodiversity, particularly the macrofungi and mosses. 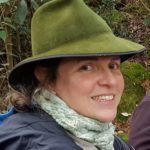 She did her doctorate at the University of Tasmania on ‘Surrogates for cryptogam conservation – associations between mosses, macrofungi, vascular plants and environmental variables.’ Sapphire has been actively involved with Fungimap* since 1999. She is the regional representative for Australasia for the International Society for Fungal Conservation [ISFC]. She is also active with Australian scientific groups like the Education Subcommittee of the Australasian Mycological Society, the Ecological Society of Australia, Australian Bryophyte Workshops and community groups including many field naturalist clubs and Landcare groups. To read more about her research profile in Research Gate and LinkedIn. 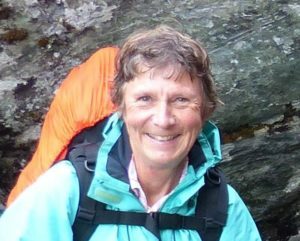 Having lived in four states and traveled across Australia’s landscapes she has been involved in many of the fungal community groups over the years. She has worked with many of these groups to raise the profile of local fungi and the important roles fungi play in our environment. She is involved in Greening Australias Habitat Conservation and Management Course and the new Victorian Nature Stewards program. She particularly enjoys getting out into the bush to discover fungal treasures as often as she can. Roz is an Ecologist, with a range of working experience from teaching Microbiology at the University of WA to running an Environmental Consulting Business with her husband Ray. More recently she worked as the Community Education officer with Mycologist Dr Neale Bougher on the Perth Urban Bushland Fungi project in WA, a project that raised awareness of the importance of fungi in bushlands, concentrating on Urban bushlands and opening many people’s eyes to the wonders of fungi. Roz has been an active member of the Western Australian Field Naturalists Club for over 30 years and has held many roles on the Club Council over that time. Since the late 1990s Roz has organised fungi talks, workshops and fungi excursions in WA. She organises these activities for all to enjoy through the Club Fungi group, which she started after the Fungimap Conference, in Denmark, Western Australia organised by Katrina Syme in 2001. She also currently Vice President of Fungimap*, Australia’s National Fungi organisation. She lives in Perth, close to Kings Park which is Perth’s iconic bushland park. Roz enjoys being a volunteer Guide at Kings Park, where she encourages and educates other guides and the public about the importance of fungi in the bushland. In winter, Perth’s fungi season, Roz can frequently be found leading others into the bushland to see some of the fungi species common in Kings Park. She loves bushwalking and exploring all over Australia and New Zealand looking for fungi, constantly learning more about our amazing Biodiversity, which she knows comprises at least 3 Fs: Fauna, Flora and Fungi! If you would like to hear more news, upcoming events and activities why not sign up for my Fun Functional Fungal Ecology Snippets. Or read past Snippets here. 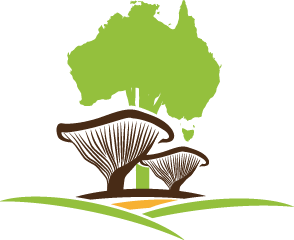 Please note * Sapphire & Roz have official and voluntary roles with Fungimap * and Royal Botanic Gardens Victoria (RBGV *), but FunFungiEcology and Fungi4Land activities are organised independently.